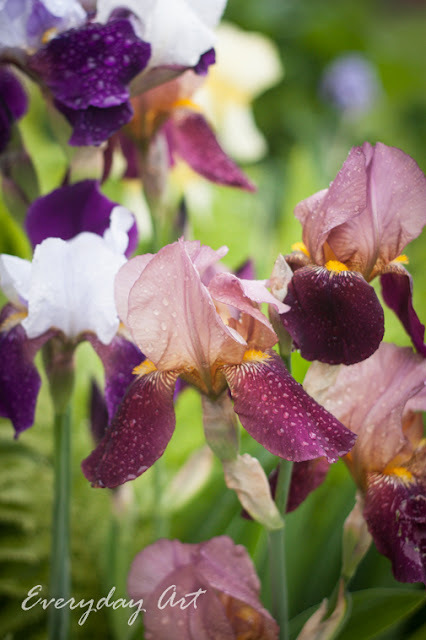 I often wish they lasted longer, but then I try to remember that that is part of the charm--they come in great glory when the rest of the flowers are still young and then they pass on very quickly. You have to enjoy them the day you see them, because tomorrow they will look different. Even though that can be sad, I think that perhaps, for me, it is a good life lesson. 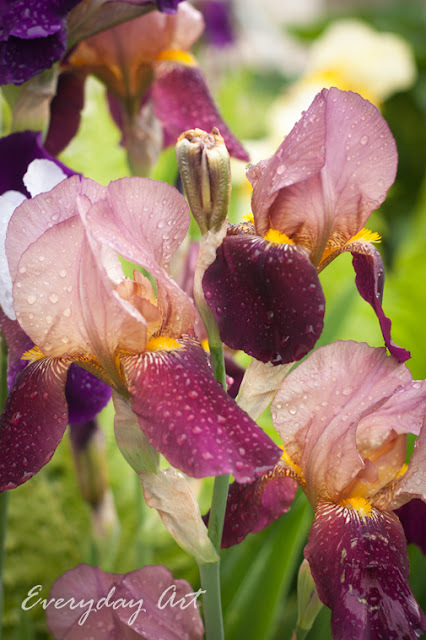 It has been fun to discover all the different iris varieties at our house--they have all been a surprise this spring! Only one plant did I bring with us, and that one traveled with us to 4 different homes. In each home, we left a little behind but brought it with us. These beauties were completely covered by weeds last year and pretty much finished blooming when we moved in, so this year it has been rather enchanting to see what comes up. I love the warmth of these mauve-colored ones. And this beautiful peach one has been a fun surprise! There is just one blossom on it, but I'm sure in years to come it will expand. 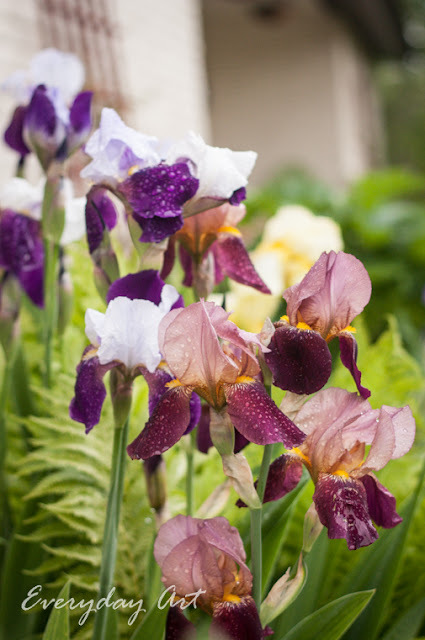 I'm thankful for irises--for their beauty in the spring and even for their short-lived blossoms that encourage me to enjoy the moment and each day as it is because tomorrow will come and today will be gone forever. 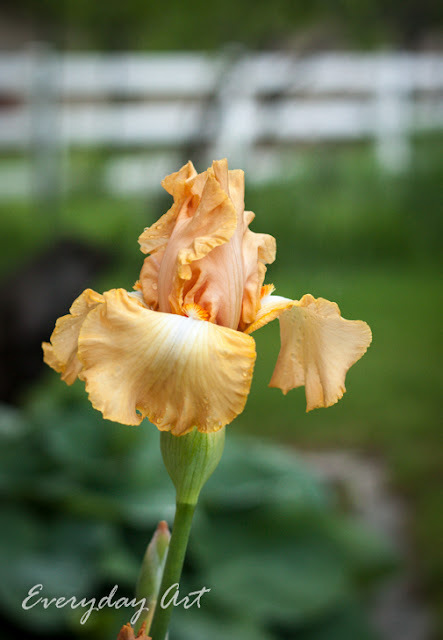 My favorite part about Bearded Irises is their tolerance for being moved. Or lifted so you can thoroughly weed them.